I love making this dish! 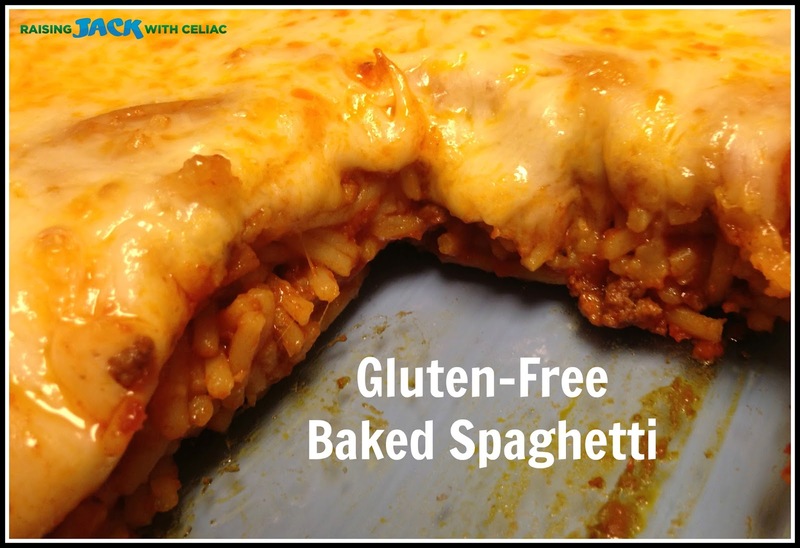 It's easy and it puts a fancy twist on regular spaghetti...reminds me of lasagna...just a way easier way to make it. First, what's your favorite pasta? 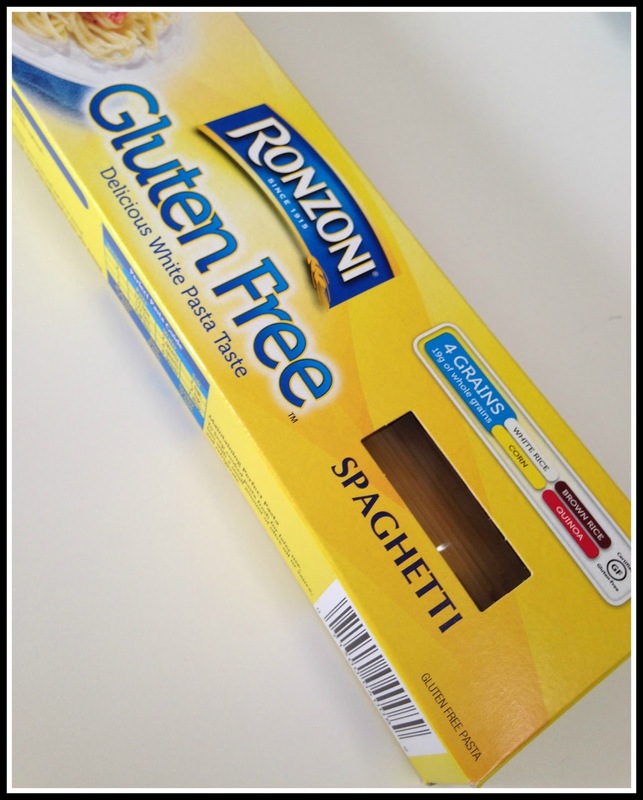 We've tried a hand full of brands and I have to say, we really like Ronzoni pasta. I like that it's made with 4 different grains - corn, quinoa brown rice and white rice. It's GF certified and produced in a dedicated gluten-free facility, so I'm very happy with that as well! It has a nice texture and it never gets mushy. Like it says on the box, it has a "delicious white pasta taste". Let me show you how easy this is to make. I like doing step by step directions, even if it's super easy, so that one day Jack can refer to these recipes when he's out on his OWN. I picture my 20 something son cooking in the kitchen and following these easy steps...one can hope, right? Brown ground beef in sauce pan. Drain grease. Add your favorite red sauce and simmer. Boil pasta - boil for 8 minutes as it will cook longer in the stove. Drain pasta. Then pour pasta into red sauce. 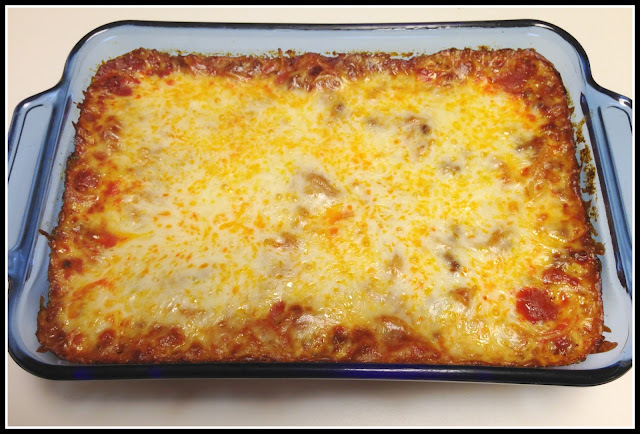 Pour pasta with red sauce into 8.5 x 11 casserole dish. Top with mozzarella cheese and sprinkle with grated parmesan. 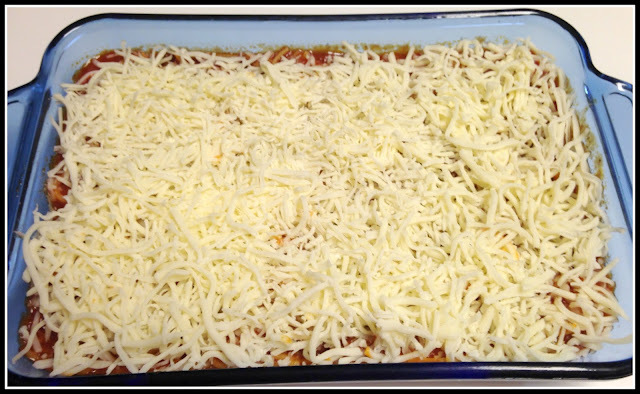 Get your cheesy spaghetti grub on! Cover with foil and bake @350 for 25 minutes. For the last 5 minutes, carefully remove foil and boil to brown top. 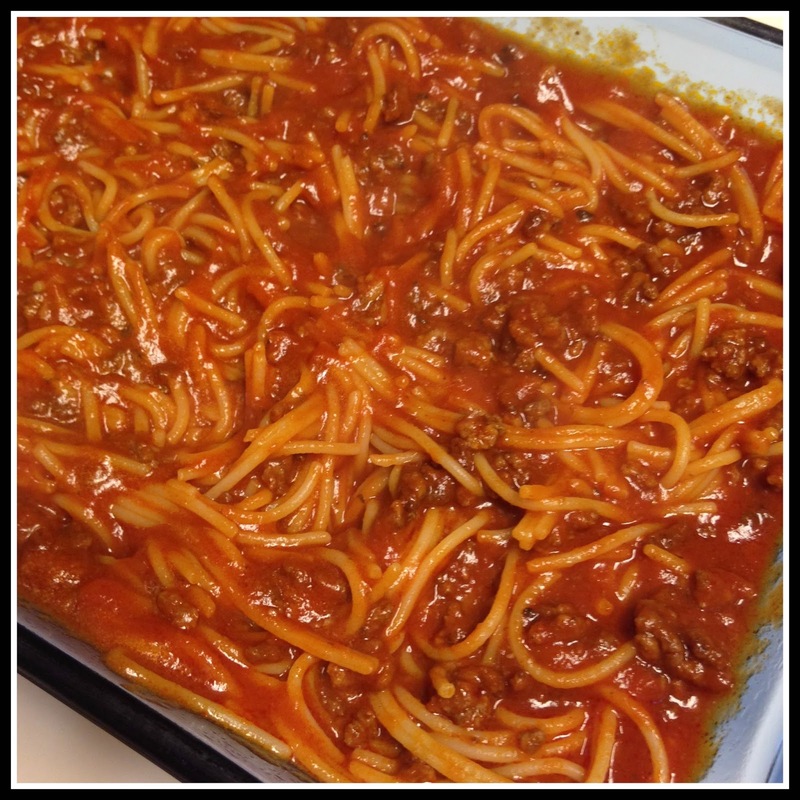 Get your cheesy spaghetti grub on! We ALL LOVE this dish and I probably make it every other week. I think the left-overs taste even better the next day. Serve with a delicious spinach salad or asparagus and dinner is done! ENJOY!